We shipped to Big Island, Maui and Kauai. 7th Annual MWH Slippah Christmas Celebration! It’s our Lucky Seven Year! It’s October 1st and like years past, I ask for donations for The Slippah Foundation. It started at Mayor Wright Housing seven years ago and since then we’ve touched so many lives. The individual stories, the tears and pain. The laughter, hopes and dreams. We are there to bring a bit of happiness for a little while. Joy and the Christmas Spirit to those who are less fortunate than ourselves. For the past three years we’ve gone over the holidays. 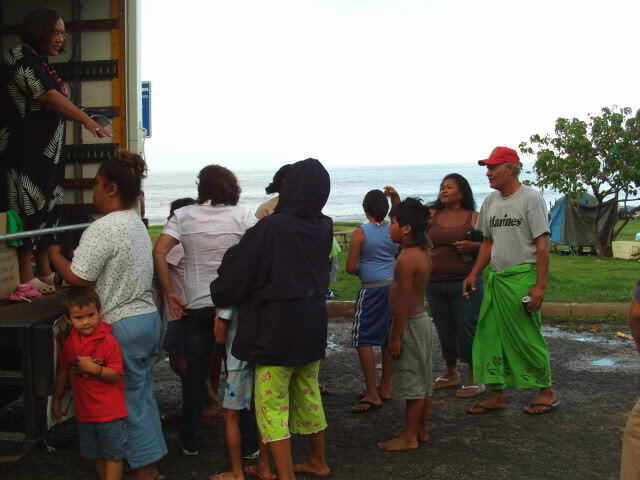 And this year, we participated in The Convoy of Hope at Kapolei. We may be small but our hearts and goal to reach our recipients is Big! Please donate to The Slippah Foundation! Mahalo, Auntie Lynn and The Slippah Foundation Ohana! !